Please check back often for updates!! DUCK! JUMP! RUN! 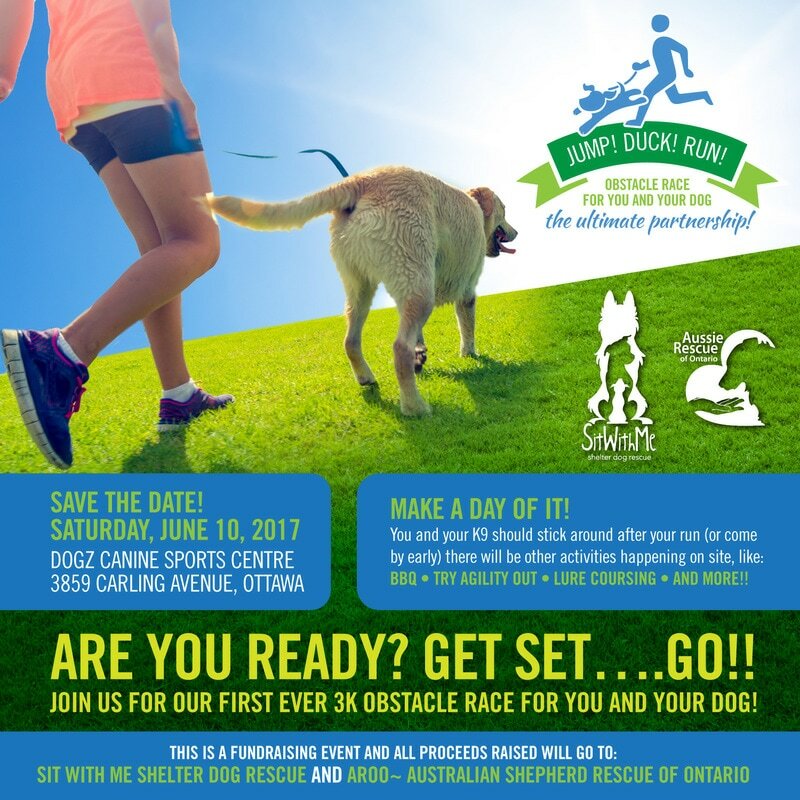 Obstacle Race for You and Your Dog…The Ultimate Partnership! ARE YOU READY? GET SET….GO!! Join us for our First Ever 3K Obstacle Race for You and Your Dog! AROO is CO-HOSTING WITH SIT WITH ME SHELTER DOG RESCUE! Lot’s more details to come but SAVE THE DATE NOW!